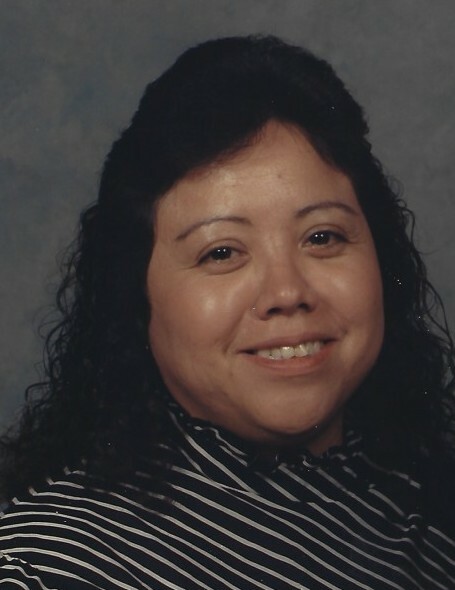 Marilyn Joyce Canoe-Perez, 63, of Stilwell, Oklahoma, entered her Heavenly Home, December 18th, 2018. Marilyn was born April 6th, 1955, in Stilwell to Nellie (Canoe) Duncan. She is preceded in death by her dad and mom, Felix and Nellie Duncan; her parents, Charlie and Annie (Waters) Canoe; cousin, Abbie Canoe (Giansti); brother, Gene Riddle; sister, Janice Cheromiah; nephews, Richie Canoe and Brian Cheromiah. Marilyn absolutely loved the Lord with all her heart and her faith was grounded in the promises of Jesus. She served God and her church her entire life and lived everyday worshiping the Lord. Her arms and home were always open for anyone in need, family or friend. Next to the Lord, her family was the foundation of her life with her being the center. Marilyn loved her grandchildren unconditionally and eternally. She loved going to yard sales. Spending many hours visiting friends and socializing was one of her favorite things to do. Marilyn dedicated most of her career to Cherokee Nation Industries, then worked as a Family Advocate with the Cherokee Nation Tribal Complex in Stilwell, before her retirement in 2009. Left to carry on her legacy, are: son, Shaun Perez and Misty of Stilwell; grandchildren, Zane Williams and Sierra and Gage Perez; sister, Cherokee Livers and husband Burl of Stilwell, brothers; Richard Canoe and wife Doris of Stilwell, Felix "Bolo" Duncan and Wayne Duncan, both of Bunch, Oklahoma; sister-in-law, Caleen Riddle of Bunch; aunt, Tippie Canoe Drain of Bunch. Many nieces, nephews, cousins and a host of other relatives and many friends also survive her. Marilyn was loved by all and will be deeply missed by those left to cherish her memory. Viewing and a gospel singing will be between 1:00 and 8:00 PM, Tuesday, December 25th, 2018 at the Indian Mission Pentecostal Church of God in Bunch, Oklahoma. Funeral services will be held at 1:00 PM, Wednesday, December 26th, 2018 at New Life Church in Stilwell, with burial to follow at Belfonte Cemetery in Sequoyah County, Oklahoma. All musicians and singers are welcomed to join us Tuesday evening as we celebrate a life well lived. Please feel free to bring a covered dish.